Jude Schimmel of Eastern Oregon’s Umatilla reservation is making headlines as a proud Native American woman. 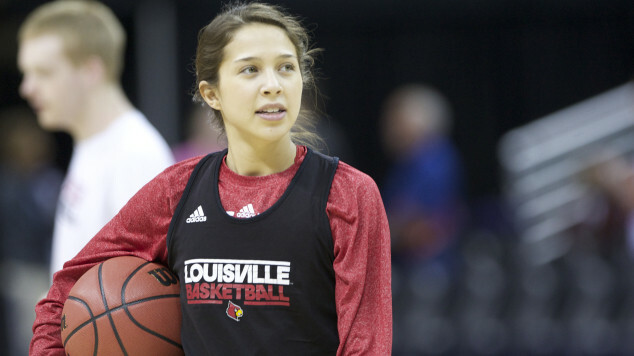 Schimmel had a highly successful run as a University of Louisville basketball player. She earned the NCAA Elite 89 award for having the highest grade point average in the 2013 NCAA basketball championships and was named one of Glamour Magazine‘s top 10 college women in 2014. She played as point guard in Final Four and National Championship games. Schimmel hasn’t slowed down since graduation. While pursuing a master’s degree in sport’s administration, she’s spoken at the White House, signed on as a Nike N7 spokesperson, and stayed committed to basketball training. Now, she’s an author. Schimmel’s debut novel Dreamcatcher comes out on April 15. The novel illustrates her life as a Native American and the journey that brought her to where she is today. She hopes to inspire Natives, basketball fans, and anyone else who picks up the book. Additionally, she would like to educate outsiders about the issues Natives face today and the determination they have to overcome. Jude plans to continue her outreach to Native communities along with her basketball career. The Lakota People’s Law Project is happy to see yet another young Native standing up for a better future. The dedication exhibited by people such as Jude Schimmel inspires a great deal of hope. You can purchase Dreamcatcher at JudeSchimmel.com.